You need to stop hiding. Holding onto it is making you sick. Sin thrives in the shadows. It’s making your church sick – and allowing the wounds it made to get deeper. You need to stop hiding because your authenticity has an amazing power to heal. 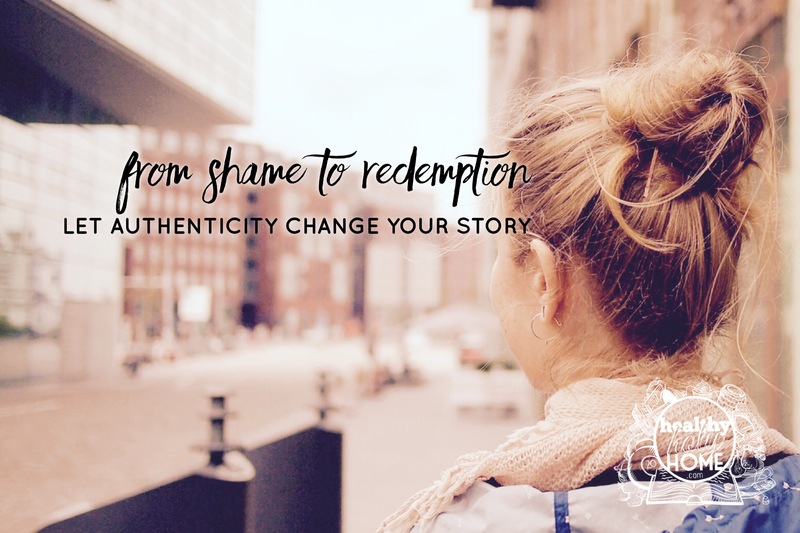 Telling your story of sin and struggle to others allows that story to come into the light and become a story of redemption from sin, rather than a hidden secret of shame. It becomes a story of God’s grace and allows God to be glorified through you. Let authenticity change your story. This isn’t just another piece of millennial pop-psychology. I know millennialism has elevated authenticity to a place that is potentially unhealthy but despite what the world around us is doing, God Himself has given us the command to be open and authentic with each other as members of the body of Christ. “Confess your faults one to another, and pray one for another, that you may be healed. The prayer of a righteous man has great power as it is working” (James 5:16). Notice how it doesn’t say, “so that you may be forgiven,” but rather, “so that you may be healed”? 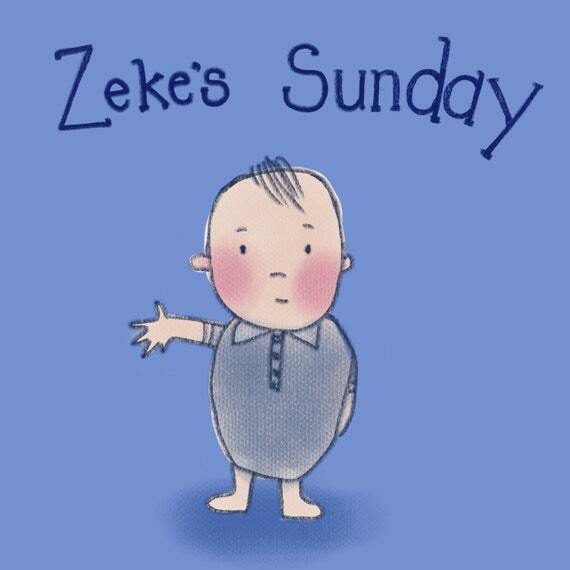 God forgives, but we often find His forgiveness hard to grasp on to. Telling each other about our struggles allows the healing process to start and allows us to really feel God’s forgiveness and redemption in our lives. When what you thought was alienating you actually becomes the thing that helps you reach out to others and build community – you find healing. Your secrets start to seem like they aren’t so deep and dark after all. Your burden is lifted, your load is lighter. You no longer feel alone or ashamed. You feel like you can triumph because now you know others who have and support you in your efforts. And you know what? Your authenticity doesn’t just heal your soul – it heals others’ souls too. 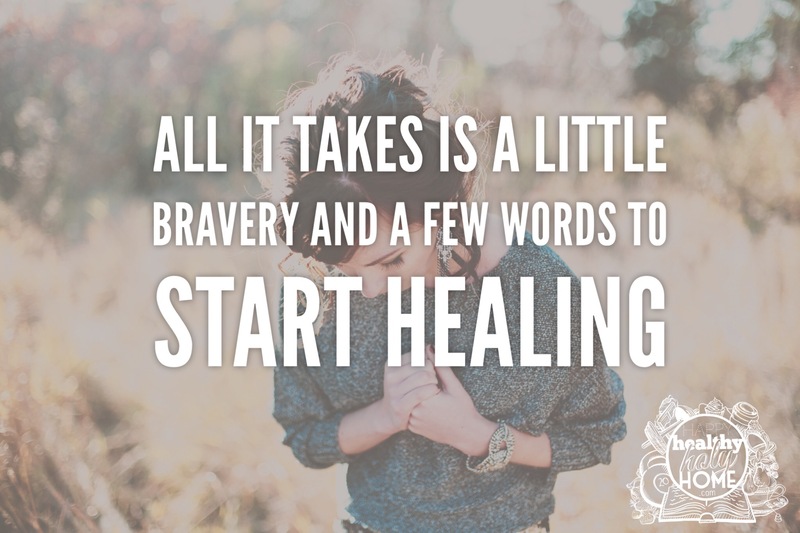 All it takes is a little bravery and a few words to start the healing process. I’m no expert on these things, but my experience has been that pretty much every time I’ve been able to help someone it’s because I have talked in depth about a struggle of mine I’ve had (depression, anxiety, motherhood, a lack of faith, lust struggles, not wanting to be pregnant – just to name a few) and so others felt safe coming to me. In turn, this helps me to heal and grow stronger. This is why we need to learn to not only be more open about our struggles but also we as a church need to be open to listening to others who are struggling – because when one part of the body is hurting, the whole rest of the body hurts. We cannot ignore those who need help – and how are we going to know they need help if we don’t show them that we are willing to listen when they tell us their deepest, darkest struggles and fears? Church, we need to stop pretending we have never needed Jesus’ forgiveness. God didn’t give us grace so that we could live a life where we continually hide our sins, He gives us grace so that we can live free from sin. The best way to ensure that we continue walking in the light is to be authentic with our brothers and sisters about our failings and encourage them to do the same. We need each other – let’s not pretend that we are strong enough to do this alone. We need more Christians who are willing to live authentically. More Christians who talk about their journey, from sin and struggle to victory. More Christians who share how they fight against the negative pressures and influences that daily threaten their Christian walk. More who talk about how they have overcome by God’s grace. More Christians willing to extend grace to others who are still struggling. We need more men and women who aren’t afraid or ashamed to talk so that others can stop feeling lonely, ashamed, and alone. Talk and heal. Talk and heal. Step after step. Grace upon grace. 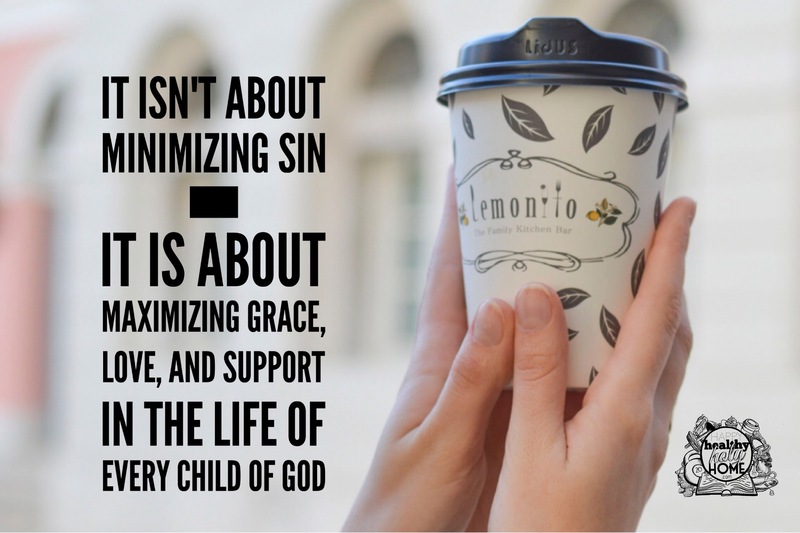 This isn’t about minimising sin – it is about maximising grace, love, and support in the life of every child of God. It is about getting stronger together and closer to Christ with every struggle we face, hand in hand. This is what the Body was designed to do. And when we do what we’re designed to do – we will experience the power and see the wisdom in following God’s way. This works. God’s way always works. We just need to do what we were created to do. Live authentically, because that’s what God has called you to do. On the topic of AUTHENTICITY, you did a great job of bringing it to the forefront of thought for the church! Authenticity and transparency……….honorable goals for sure ! !